9-11:30am and --Hurry! Maximum of 7 people allowed in each session. Participants will be required to bring a laptop computer as well as a notebook. If you prefer using the desktop version of Quickbooks, please make sure it is downloaded onto your computer. 9-11:30am Maximum of 7 people allowed in each session. Participants will be required to bring a laptop computer as well as a notebook. 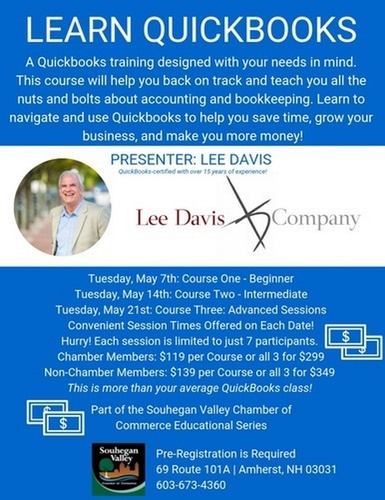 If you prefer using the desktop version of Quickbooks, please make sure it is downloaded onto your computer.